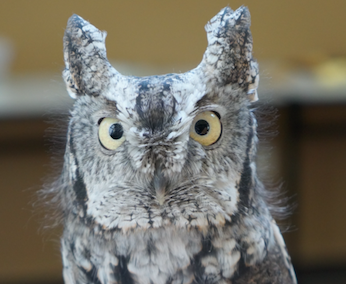 It’s time for the fourth annual Owl-O-Rama, to be held March 2, 9 am – 4 pm, at The Ridges’ Cook-Albert Fuller Nature Center in Baileys Harbor. The whole family can learn more about owls: fascinating birds of prey known for their distinctive calls, nocturnal habits and silent flight. Activities include night hikes, crafts, workshops, seeing live birds from the Open Door Bird Sanctuary and a taxidermist demonstration. Admission is free. Workshops are $30 per adult member and $35 per person for the general public. On March 1, 6-8 pm, participate in the Owl Prowl program and hike. Weather permitting, participants will learn about the county’s owls from a Ridges naturalist, head into the night to listen for them and then return to the Nature Center for hot chocolate by the campfire. The hike is suitable for all ages and meets at the Ridges Cabins, 8288 County Q. Another Owl Prowl hike will be held March 2, 6-7:30 pm, at the Logan Creek property, 5724 Loritz Road in Sturgeon Bay. Fees are $10 per member, $13 per person for the public, and free for ages 18 and younger.